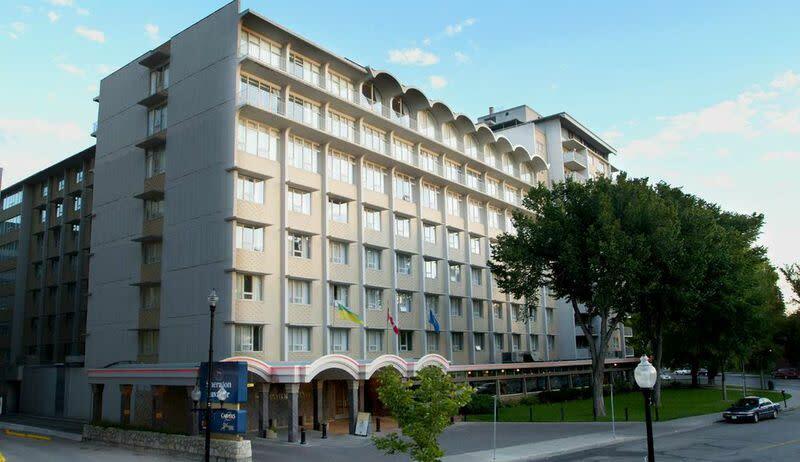 Description The Sheraton Cavalier Saskatoon Hotel is ideally situated in downtown and overlooks the stunning South Saskatchewan River. 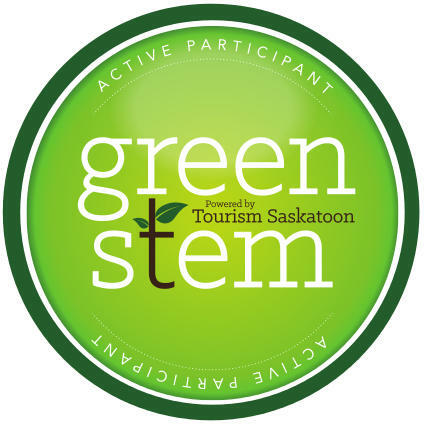 Stroll along the Meewasin River Valley Trails, explore the many nearby boutique shops, or enjoy the unique dining experiences within the hotel or city centre. The hotel offers 237 newly renovated guestrooms that are current and thoughtfully designed, while offering you a clean environment that is100% smoke free. After a long day or night, slip into a sumptuous sleep on our Sheraton Sweet Sleeper™ Bed comprised of our super comfortable Sealy mattress, crisp and inviting luxe linens, cozy deluxe duvet and a selection of feather & down or hypoallergenic pillows – the perfect recipe for a restful night’s sleep every night. Enjoy the Sheraton Club Experience – the upside of everything. Whether travel brings business conferences or sight-seeing, the Sheraton Cavalier understands your schedule is full. Complimentary breakfast, appetizers and all-day snacks, as well as complimentary Wi-Fi means the Sheraton Club Lounge keeps you fueled and connected. From the Hampton’s boardroom for 10 to the Sheraton Ballroom hosting a standing reception for 1,000, seasoned meeting specialists will work with you every step of the way. 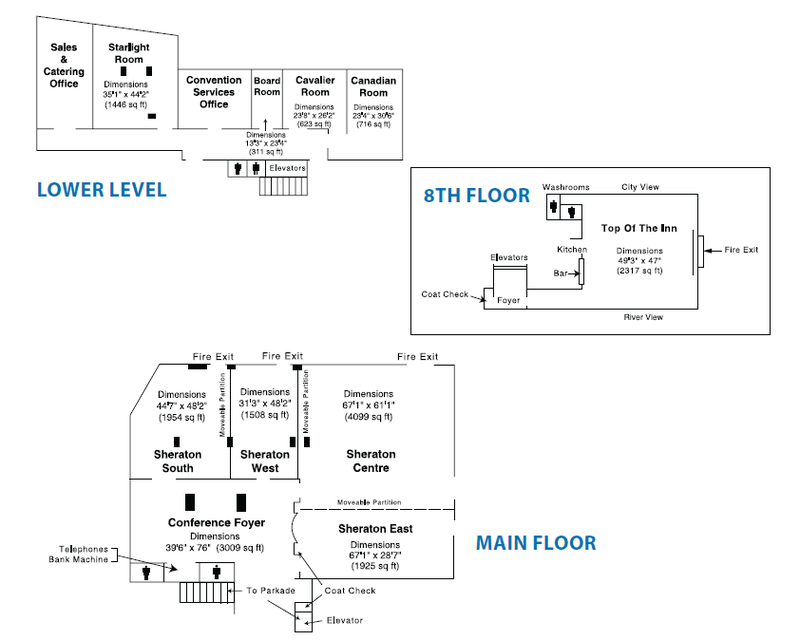 Extensive 18,000 square feet of flexible meeting space includes the Top of the Inn Ballroom, Saskatoon’s only meeting space with a panoramic view of the city and the South Saskatchewan River. 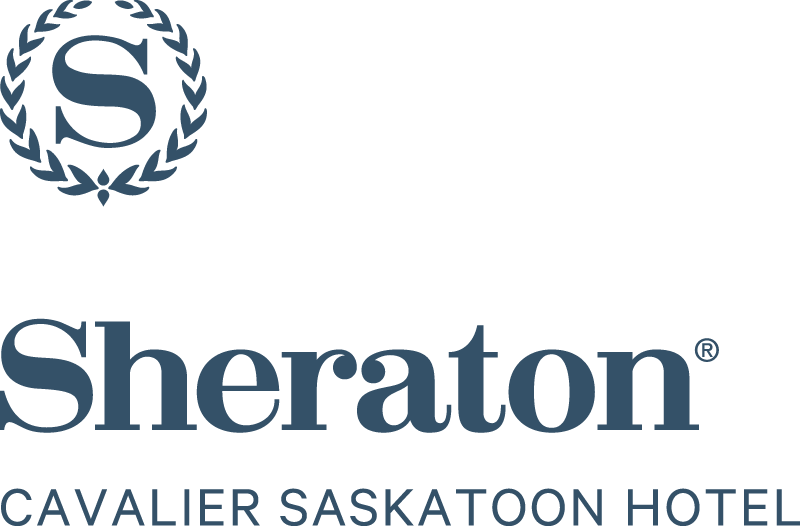 The Sheraton Cavalier Saskatoon is the only hotel in the city that offers five dining options. Windows Restaurant offers sunshine, an amazing view and a tantalizing menu. The Express grab and go offers a variety of flavorful takeout items and proudly brews Starbucks coffee and other specialty coffee beverages. 6Twelve lounge is an upbeat urban spot to gather with your friends, sip on a martini and savor our share plates. Experience dining at its finest in Saskatoon at Carver’s Steakhouse, creating “wow” moments in food and wine service. Slider’s Deck is located at the River Country Water Park; enjoy your favorite beverage and some nachos pool side. River Country Water Park – a twisting, turning adventure in water - Saskatoon’s largest indoor hotel water park, features two giant waterslides, large main pool, children’s pool, two hot tubs, change area, abundant lounging and sitting areas. Adjacent to the River Country Water Park is a 24 hour fitness centre featuring Sheraton Fitness by Core Performance.